Home / Barcelona / Barcelona City / Barcelona City Travel Guide / Barcelona Shop / Barcelona Travel / How to Shop Tax Free? / Tax Free / Tax Free Shopping in Barcelona City / Tax Free Shops / Travel Tips / VAT / How to Shop Tax Free? How to Shop Tax Free? Important: Only Global Refund Tax Free cheques are valid. Time: Monday to Saturday, 3pm to 8pm. 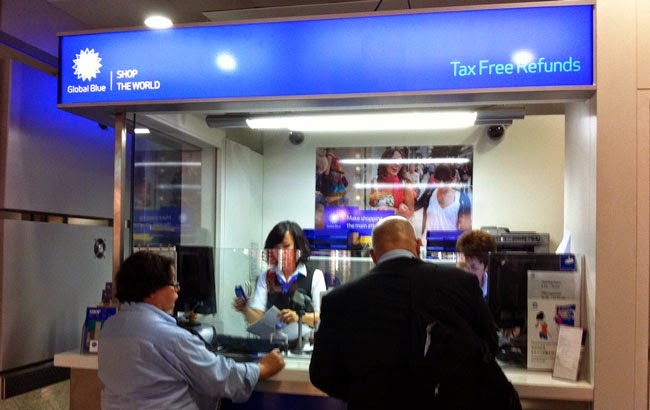 Important: Global Blue, Premier Tax Free and Travel Tax Free cheques are valid. You don't have to fill form for each shopping you do abroad. You can use Global Blue Card and each shopping will be added automatically to your card so you can claim back your VAT at the end of your last shopping. That means it saves time and money at the same time. So how can you use Global blue Card? In Barcelona city, during shopping you won't worry about getting your tax back all the time so you can shop easily. When you plan your Barcelona city travel these little details will help you much. You have to apply for Global Blue Card beforehand so that it will ready when you travel. You can check the official site of Global Blue Card if you like. In Barcelona city, many stores and shops at shopping malls work with tax free concept. So if you see tax free on the store window then you can claim back your VAT. In Barcelona tax free shopping is important if you really like shopping. So don't forget to check all details about shopping at our site before you make your decisions! scenes at the video so enjoy watching!